One of the most important operating systems for the professional environment developed by Microsoft was Windows 2000, that was the predecessor of the current Windows Server and that has four different versions, Professional, Server, Advanced Server and Datacenter Server, all of them focused towards the business environment. As with all other systems by Microsoft, as time went past, various updates were launched for this system, many of them related with the security, that solved different errors and security flaws that could endanger the stability and the data stored on our computers. Before the this systems Service Pack was launched, Windows 2000 Security Q311401 was published, a pack of updates that gathered in a unique installer all those security updates that had been launched up until the SP2 was launched and that allows the users to protect their computers in an efficient way. 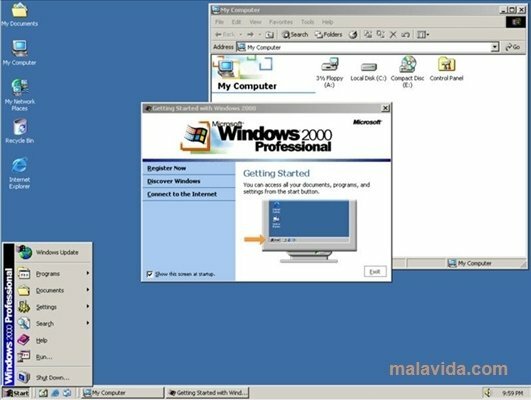 If you still have this old operating system installed on a computer, you may want more security by downloading and installing Windows 2000 Security Q311401.